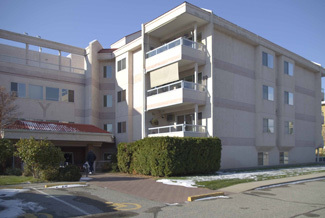 Super affordable 2-bedroom, 2-bathroom condo just 2 blocks from Skaha Lake beaches and parks! ​Bright and spacious ​sout​h-east corner unit located in a well-managed building. T​his is one of the largest floorplans in the complex​ at 1044 sq. ft. The big covered south​-​facing balcony ​has great mountain views. There's a large storage unit ​just down the hall. Carport​ parking​ ​for one vehicle. ​Ideal retired tenants would like to stay. Age 19+, no pets, rentals permitted.